Comment: This is a mfg home inspection for refinance. Bank requiring inspection of front/back decks and side shed to ensure they are independent and not attached to the house, and wood burning stove. Comment: 20 year old composite asfalt shingels roof with leak around masonry fire place chimney. Comment: We're bying a house with a metal roof, there is mold underneath the roof and we need to know if we have to redo the roof and get a price estimate. If the roof needs the be replaced we would like to have someone spit as soon as possible. Comment: After our furnace runs, the heat seems to immediately dissipate, which is what made me question our current insulation. Carnation Home Inspectors are rated 4.87 out of 5 based on 439 reviews of 30 pros. 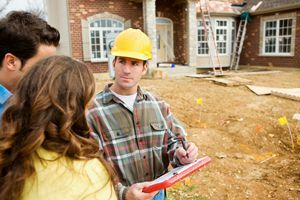 Not Looking for Home Inspection Contractors in Carnation, WA?